Stunning bespoke lemon silk chiffon bridesmaids dresses designed and made to order in Cambridge. 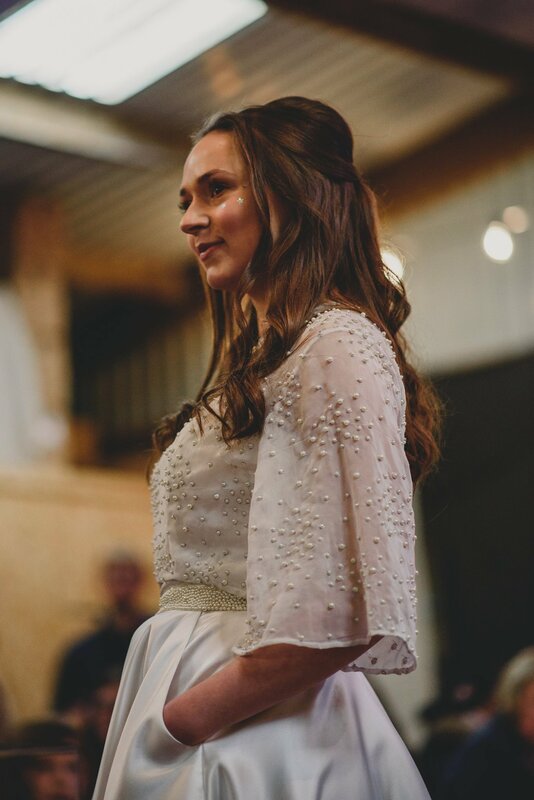 I took part in this year’s Most Curious Wedding Fair in Norwich at the gorgeous Fire Pit Camp. 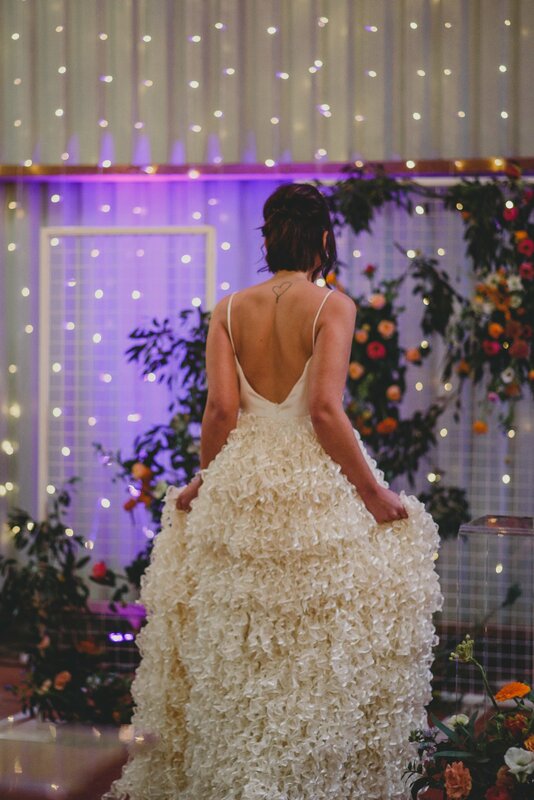 It was such a brilliant wedding show, featuring the coolest local suppliers in the region. 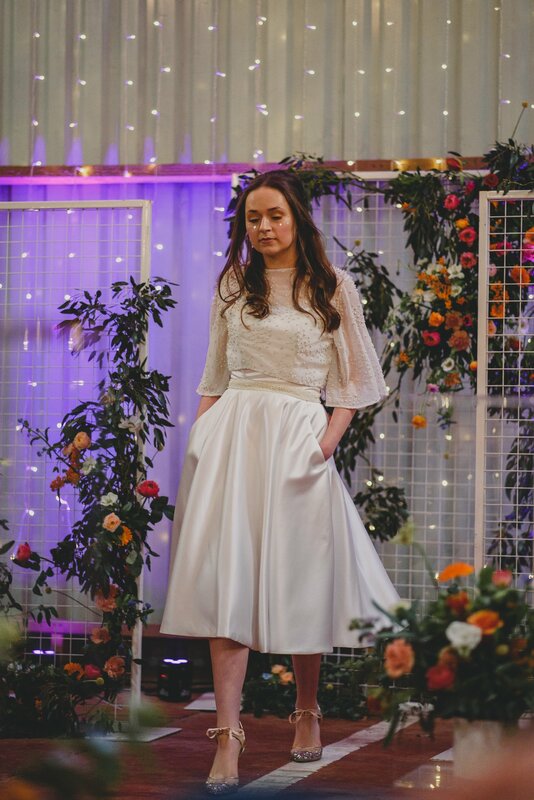 I showcased my latest designs in the bridal fashion show including our new couture pearl bridal top and strapless satin tea-length dress; and our new River bridal skirt with cascading ringlets and beaded waistband – paired with our organic silk slip dress. 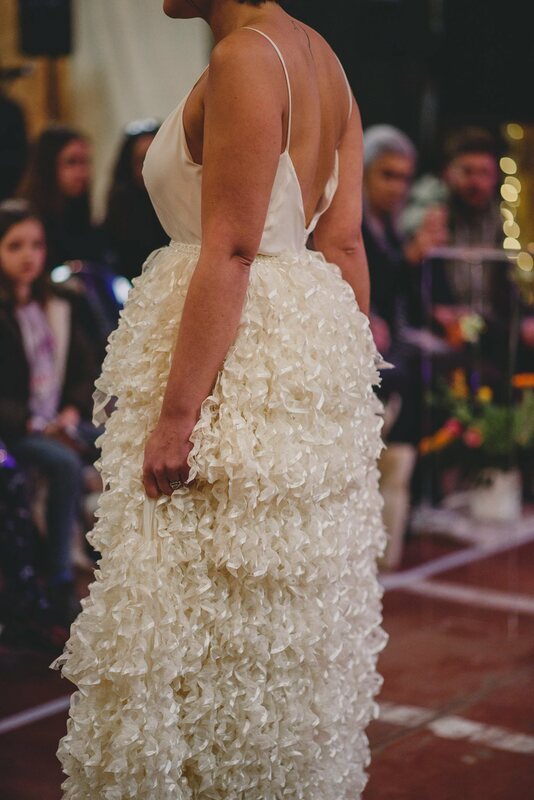 Here’s some pictures from the show taken by fantastic photographer Georgia Rachel May. 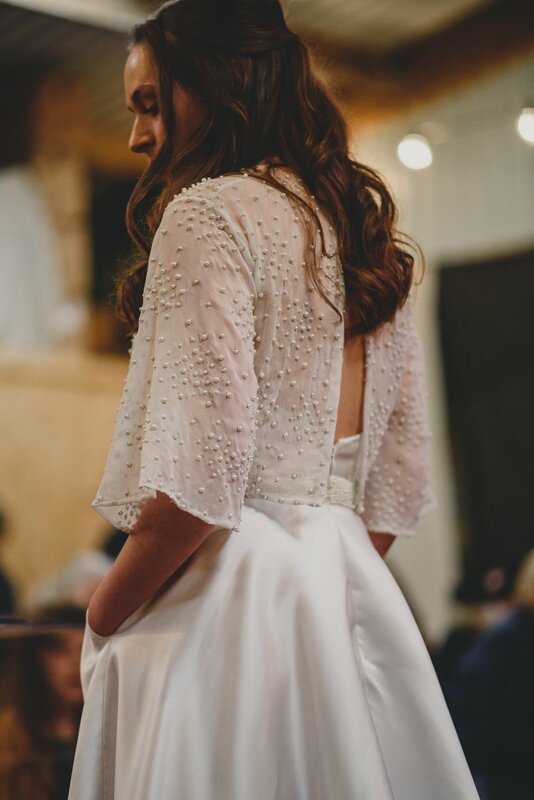 Couture bridal top over our strapless tea-length satin wedding dress.